Through November 30, 2015, American is offering up to 75,000 bonus AAdvantage miles when buying miles. If you max out the bonus and purchase 125,000 miles, you’d receive a bonus of 75,000 AAdvantage miles. That’s a total of 200,000 AAdvantage miles for $3994.06, which is ~2.0 cents per mile. As mentioned above, American is marketing this as the best promotion on purchased miles in 2015. How does it compare to other promotions they offered recently? This is indeed technically the lowest cost on a per mile basis, but only by a very small margin. And in order to achieve that cost, you have to purchase 200,000 miles, which is no small sum. Personally I wouldn’t be deciding on whether to take advantage of a promotion based on the slight difference in cost, but rather based on when you actually have a need for the miles. As usual, AAdvantage accounts less than 30 days old aren’t eligible to purchase miles. ~2.0 cents per mile isn’t a rate at which I’d speculatively purchase American AAdvantage miles (I value American miles at ~1.8 cents each). That being said, with a specific use in mind, it certainly could be worthwhile. There are tons of other similarly excellent redemption opportunities out there. With a specific use in mind, this can be a great value. 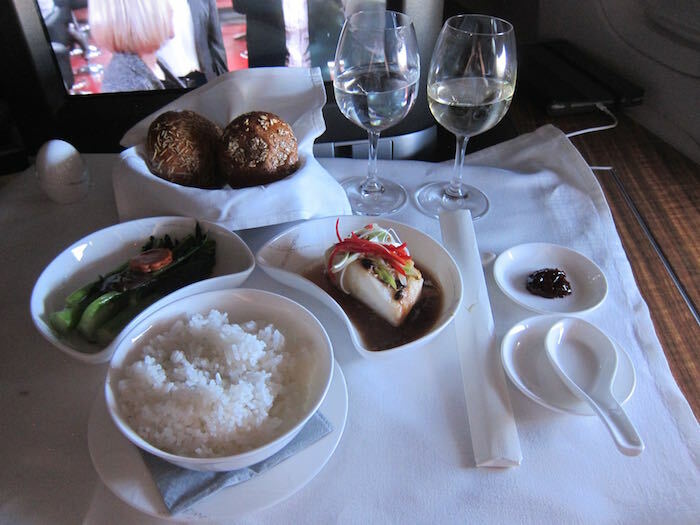 I wouldn’t speculatively buy AAdvantage miles for ~2.0 cents each just for giggles, but if you have a premium cabin redemption on Cathay Pacific, Japan Airlines, Etihad, Qatar, etc., in mind, it’s tough to go wrong. On a cent per mile basis this is the lowest cost we’ve seen in 2015, though only marginally so. I’d view this promotion the same as any other offered by American this year, and would decide based on whether you have a use for the miles in the near future. Do you plan on purchasing AAdvantage miles through this promotion? Is it better to buy AA points or the Alaska ones if I was targeted for the Alaska 50% bonus miles? 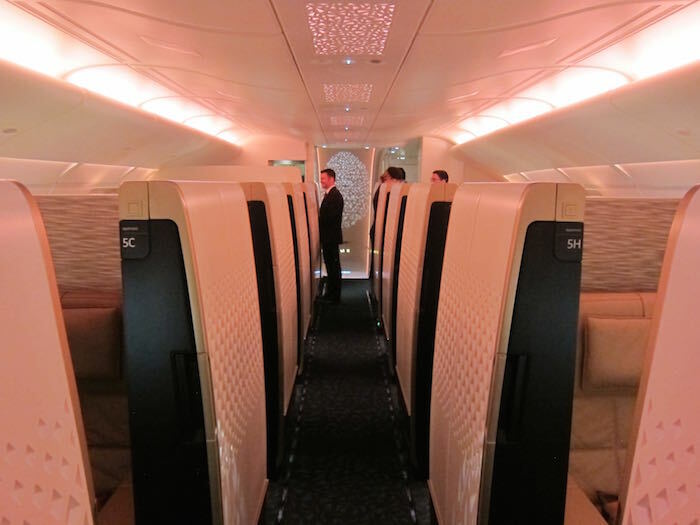 No immediate plans to use them but it would likely be for Cathay premium cabin. Thanks. Hey Ben, you always say “~2.0 cents per mile isn’t a rate at which I’d speculatively purchase American AAdvantage miles” – however people who live overseas and don’t have access to AA miles through credit cards would value this as a a very good deal – wouldn’t you say? Note that even though you are buying the miles directly from AA, you still pay the $30 processing charge for any purchase. And Federal Excise tax, which appears to be 7.5% This makes the deal unattractive, especially if miles are used primarily for domestic travel. Usually cheaper just to buy a ticket. @Tom – The 2cpm price that Ben calculated already factors in the $30 processing fee and the tax. Also, if you’ve been reading this blog for even a week, you would know that no one is buying miles to redeem for domestic travel. @Michelle – Thats exactly what i was wondering. I am targeted for the Alaska 50% Bonus, too. 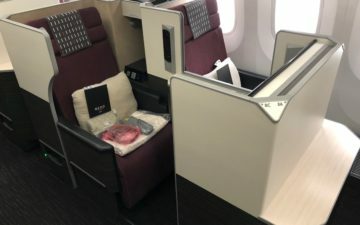 Thinking about getting a Lufthansa First Reward with my Lufthansa Miles from Germany to Hongkong later next Year and back on Cathay using either Alaska or American Miles. Unless you are going to use these purchases miles instantly, might be a good idea to wait and see what changes AA come up with before hoarding any extra AA miles. I do plan on buying via a Citi AA Platinum sign up bonus. With the current 50K sign up for 3k spend its 257988 @ 1.5 cents per point. Yeah, I agree with Tiara… I was excited about this deal, then I used the BA site to check availability for some travel I had planned from Asia to the US in February. The word is… “brutal”. miles I will buy are certainly worth it to me! Something we’ve all been noticing for the last few months in AA J/F is finally being improved! Trying to book BA F west coast to Europe for next summer and seeing plenty of space on SFO-JFK-LHR, what are the chances that space opens up on one of the longer-haul west coast-LHR flights? Should I buy AA miles now and redeem, then hope to switch later if space opens on SFO-LHR or similar? Or should I wait to see if space on a west coast flight opens before redeeming? @ Bill — Frankly getting a first award LAX/SFO-LHR less than 10 months out can be extremely challenging. I wouldn’t count on it opening up. Odds are better of finding space through SAN, SEA, or YVR. Good luck!